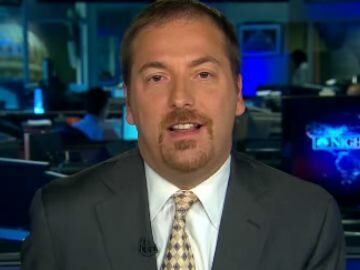 Chuck Todd: "The Republican Party Has Serious Soul-Searching To Do"
CHUCK TODD: The story of this election is -- I know some Republicans are going to talk about Sandy. The story of this election is demographics. The Republican party have not kept up with the changing face of America. That explains Florida, that explains what's going on in Colorado, that explains, frankly, what's going on in Virginia and North Carolina. It's the growth of the Hispanic communities in various places. The Hispanic community that's growing really fast in Florida, the Puerto Rican community. In Virginia, it's a different Hispanic community. But all of them are becoming core Democratic voters, or at least they look like core Democratic voters tonight. Again, story of this election is going to be demographics when it's all said and done. The Obama campaign was right. They basically -- this electorate -- they built a campaign for the 21st Century America. The Republican party has serious soul-searching to do when you look at these numbers because almost all of them, the explanation, is not going to be Sandy, it's not going to be -- because they are winning independent voters, they're winning some key swing white voters. They are getting clobbered among winning non-white voters. President Obama Interviewed On ESPN's "Monday Night Football"
Moore: Founding Fathers Suppressed The Vote; Calls It A "Founding Principle Of This Country"